The downturn in the economy spurred a litany of legal issues for those caught in its grasp. As a result, requests for legal aid and the percentage of self-represented cases has skyrocketed. In that estimation is a large group of people who earn too much to qualify for legal aid, but can’t afford the typical market rate for a lawyer. The law incubator Justice Entrepreneurs Project was founded last year to help meet that need. Developed by the Chicago Bar Foundation, the JEP is an incubator that trains young lawyers who want to start socially-minded practices and connects them with people who need reduced-fee legal services. Participants spend six months working pro bono through a legal aid organization placement and with CARPLS. The following 12 months are spent in business development training. JEP Director Taylor Hammond helps guide the lawyers through this process. Hammond has been committed to pro bono and legal aid work for years. While working for the international, business law firm DLA Piper, he took on his own pro bono cases. And for the past six years, he has provided free legal counsel to the homeless through the Franciscan Outreach Association. 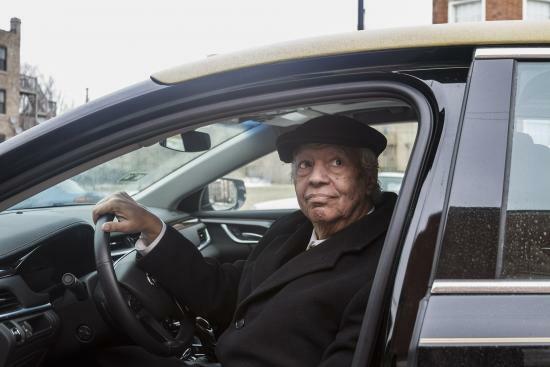 The Chicago Reporter and Hammond discussed the “justice gap” and the JEP’s unique way of filling it. What is the mission of the Justice Entrepreneurs Project? The goal is to expand legal services to a segment of the population that is currently underserved and to find new, innovative [business] models for doing that. These are people who make too much money to qualify for legal aid, but they can’t really afford a typical market rate for an attorney. They can’t afford the uncertainty of the billable hour, paying 200, 250, 300 dollars an hour. We’re supporting lawyers in starting law firms that are trying to serve that underserved market. Some come in with practices that they have already started, anywhere from three months to a little over a year. The rest are really getting started, so we do a lot of training in all the business aspects in running and starting your firm. There’s a huge portion of the population that can’t afford legal services so they go without legal services — or they think they can’t afford the services so they go without them. We’re talking about divorce, children, housing, evictions, consumer issues, and credit issues. Immigration is a huge one. These are terribly important issues that greatly affect people’s lives, and yet they’re often just handling it on their own. The system can be a little bit intimidating to those who aren’t familiar with it, so they’re struggling to figure it out. They could really benefit from having an attorney — they need an attorney. How do underserved people typically get their legal advice and services? Depending on income levels, and the type of case they have, some low income people get pro bono legal services from legal organizations. But there are limits to that. Most have income restrictions or restrict the types of cases they can handle. And they’re just overburdened – there are too many people that need services and not enough legal aid attorneys to provide them. Stepping up from the low income to the middle or moderate income, some people aren’t doing anything, some are really struggling to pay a lawyer. They might get so far into a case and realize they can’t pay anymore. Then the lawyer has to decide if they will continue pro bono or drop the client. So as opposed to representing a client from beginning to end and for every aspect of the case, you break it down into what they can do by themselves and what they really need a lawyer to handle? Yes. The attorneys in the program will still sometimes take on a client and provide services from beginning to end, but if the client can’t afford that, or are interested in different options, you can help them in other ways. That might mean representing them for the most important hearing as opposed to numerous hearings. It might mean ghost writing and reviewing a pleading or some other document for them, and they present it to court. Sometimes the client feels capable of going into court on their own but they want someone to coach them through what to expect and what they should do. How is the JEP funded? The Chicago Bar Foundation provided seed money to get the project off the ground, and they paid for the office space. The participants pay rent and participation fee the last year of the program- the first six months they don’t pay anything because that’s when they’re out doing pro bono work. We also have to go out and fundraise. So one of our main activities this year is going out and fundraising. How is the JEP financially able to take on solely cases from low-income clients? As the JEP is not a firm, we don’t take clients of our own, the lawyers determine the fees they’re going to charge. It’s viable because there’s a big need for what we do, so it’s really about creating efficiencies in the practice and in providing those services so you can do it relatively efficiently, and you can serve a large number of people. People will do full-scope services as well. For that, you just have to figure out how to price it. Is the JEP an experiment or something with long-term potential? Both. It’s an experiment in the sense that it’s a laboratory to try out [a la carte services] to see if we can make a dent in the problem, but we hope to be long term. We are developing a network of people over time — alumni from our program — who can act as advisors and be resources for our future. With the amount of people in need of this service, there’s definitely potential for it to be long lasting. How has the JEP made a difference to the community you serve so far? We’re still working out the long-term metrics evaluation, but I can tell you just anecdotally that the lawyers are experiencing first-hand the needs of the clients, having clients be so grateful for their work. But there are lots of clients who we can’t serve, because there’s such a huge need. When Martin Luther King Jr. came to Chicago in 1962, Spencer Leak Sr. drove him to rallies, speeches and demonstrations throughout the city. The death of Nelson Mandela, the South African freedom fighter who became the nation’s first black president, hit home for Harold Rogers. 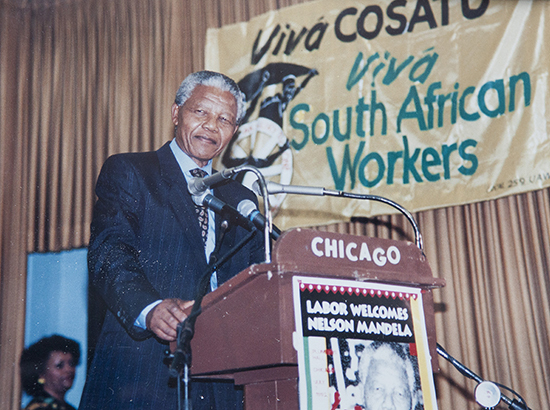 From the 1970s through the early 1990s, the Chicago scholar and activist was the Midwest representative for the African National Congress. 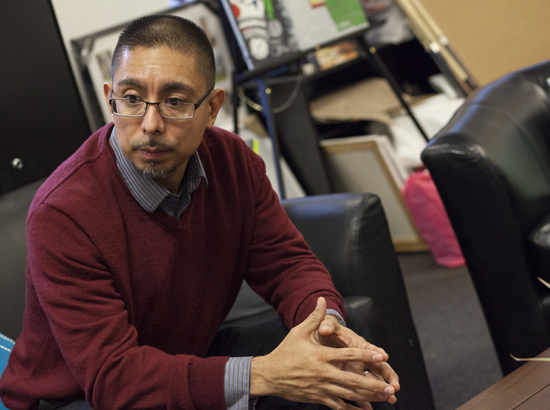 The Chicago Reporter sat down recently with Eddie Bocanegra to discuss popular misconceptions about youth violence, his experiences with gangs and incarceration, and the need for policy reform.